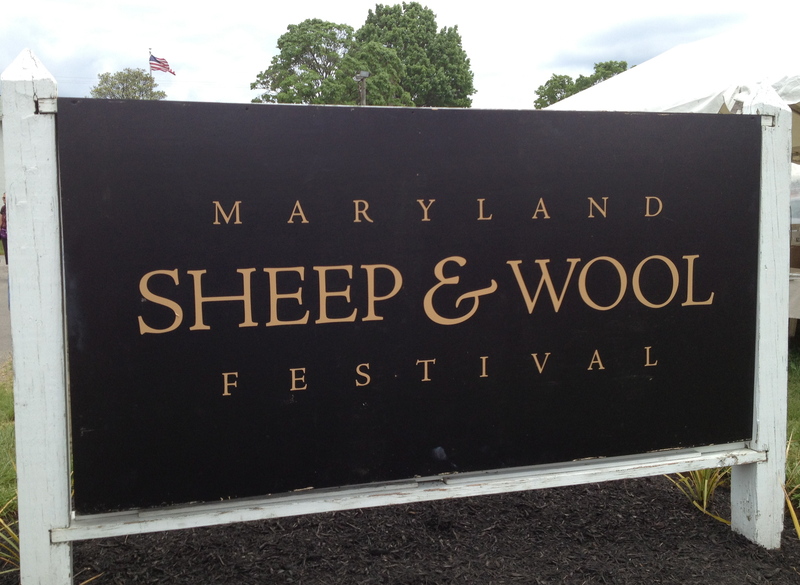 Maryland Sheep and Wool Festival! 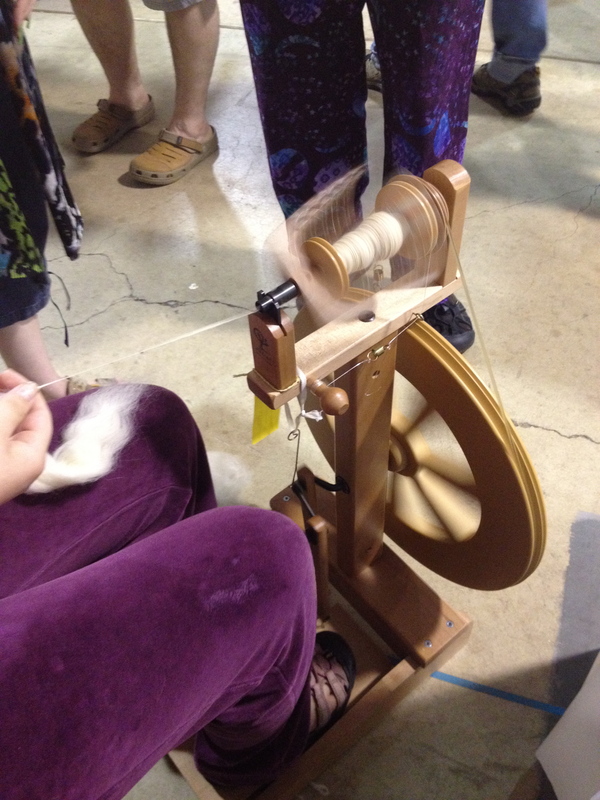 If you were one of three people on the East Coast who did not attend the Maryland Sheep & Wool Festival, you missed out. It was a party for the senses! The colors, textures, and craftsmanship on display added up to an amazing experience. I like to know where things come from. When I buy food at the grocery store or the farmer’s market, I like to be reminded that it once started out in the ground. 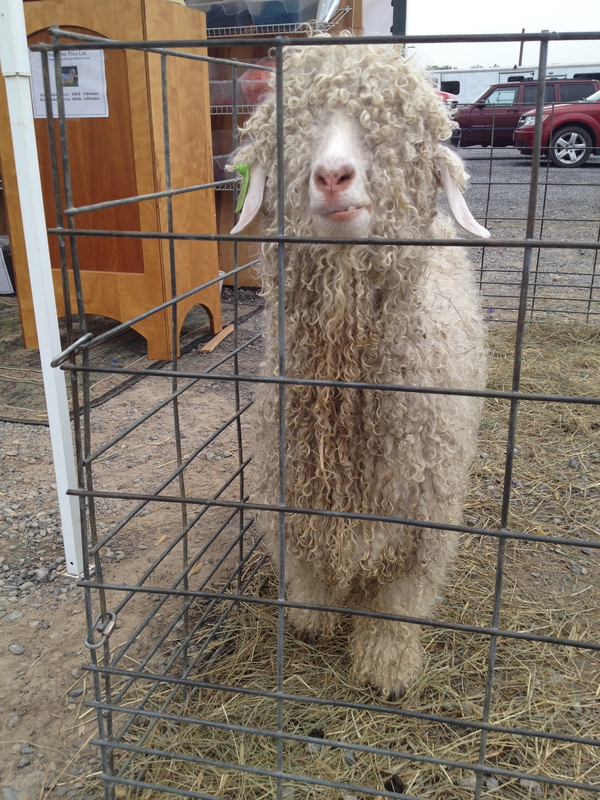 The Sheep & Wool Festival was a reminder that textiles are complicated. Wool has to be raised and then sheared. It has to be carded, dyed and spun into yarn and then woven into something we can use. There are any number of variations on this process, resulting in a unique outcome, and it is a lot of work! Beautiful Fiber on display, ready for spinning. 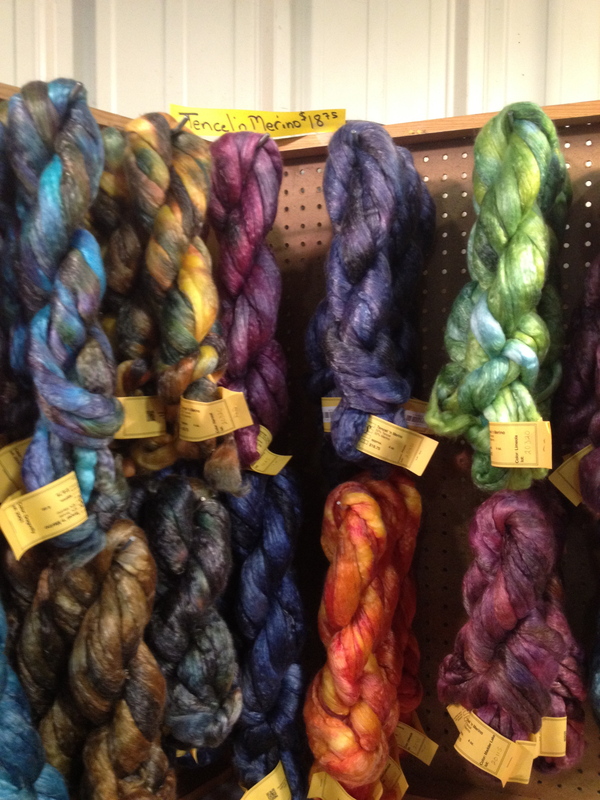 The Sheep & Wool Festival is the finest and largest Fiber Festival on the East Coast. It was an opportunity to learn the process behind techniques used in weaving, spinning, rug-making and producing quality hand-made textiles. 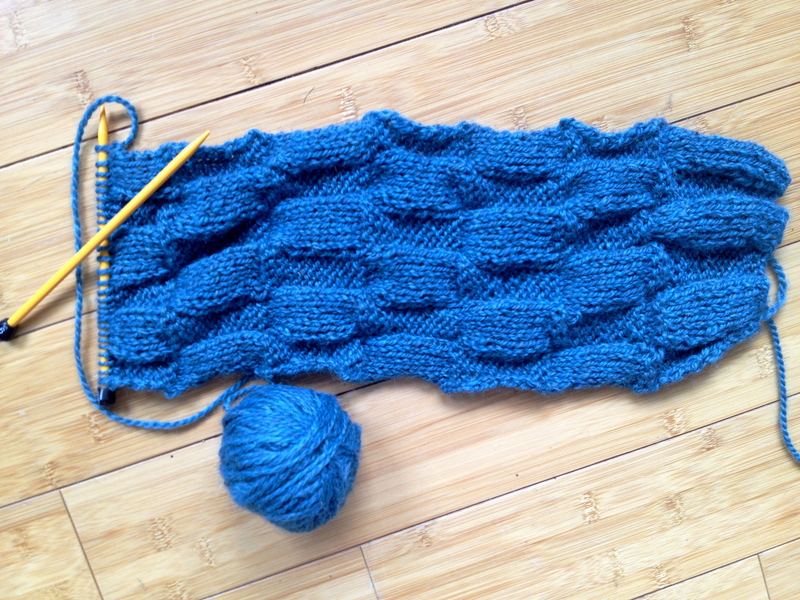 I sat down for a beginner learn-to-knit class and have not stopped knitting since. I had learned to knit when I was a child, and as I held the needles in my hands, it all came rushing back to me. I was completely inspired. My daughter Prima is on the hunt for a spinning wheel. This is not a passing craze and she has been saving her money for a long time. This was the reason we were going to the fair in the first place. Unfortunately, we did not find one we could afford. I should consider myself lucky that my 12 year-old daughter would rather have a spinning wheel than an ipad. Prima trying out a spinning wheel. The working sheepdog demonstrations were so much fun. The Border Collies were patient and the sheep clearly respected their authority. 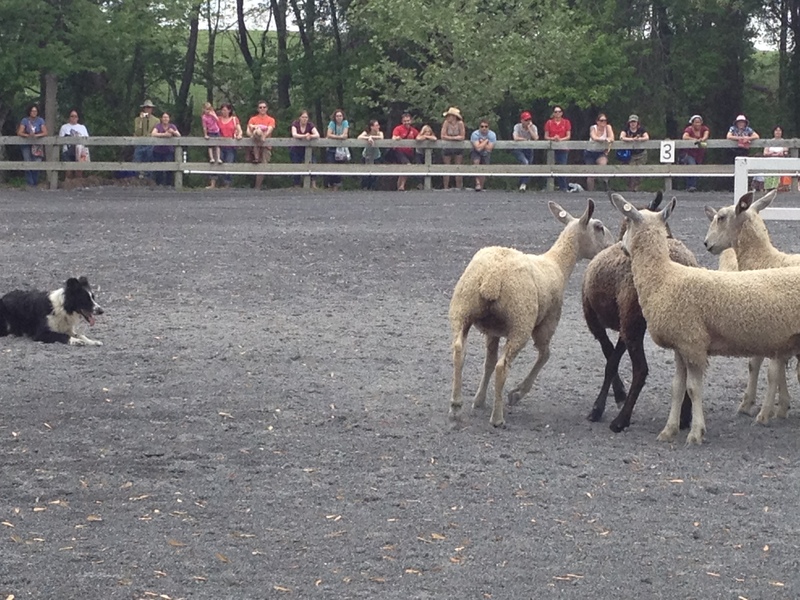 The dogs got the sheep to go over a small bridge, run in figure-eights, and showed off their smarts. It was impressive. Working Border Collies herding the sheep. Natural materials were abundant as well. 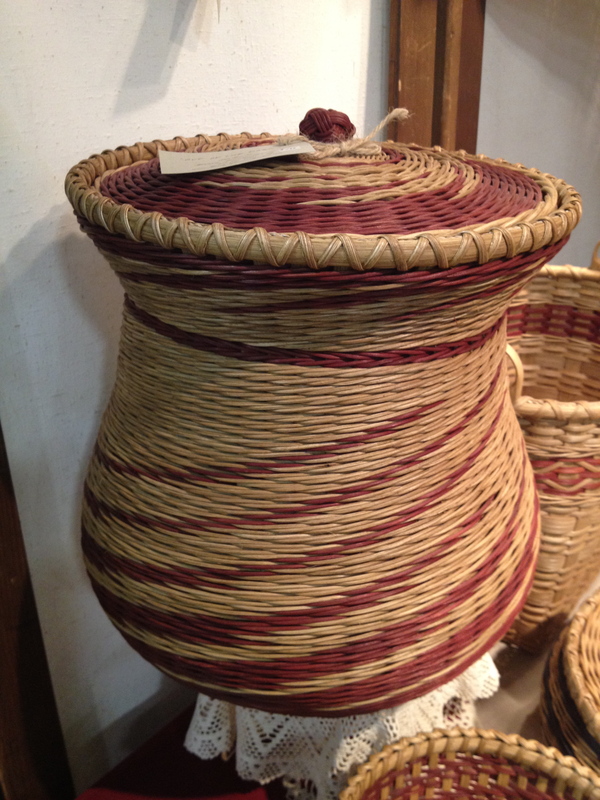 Brooms and baskets were on display and have an old-world feel to them. There is an earthiness about these things that is sometimes lost in our fast-paced world. 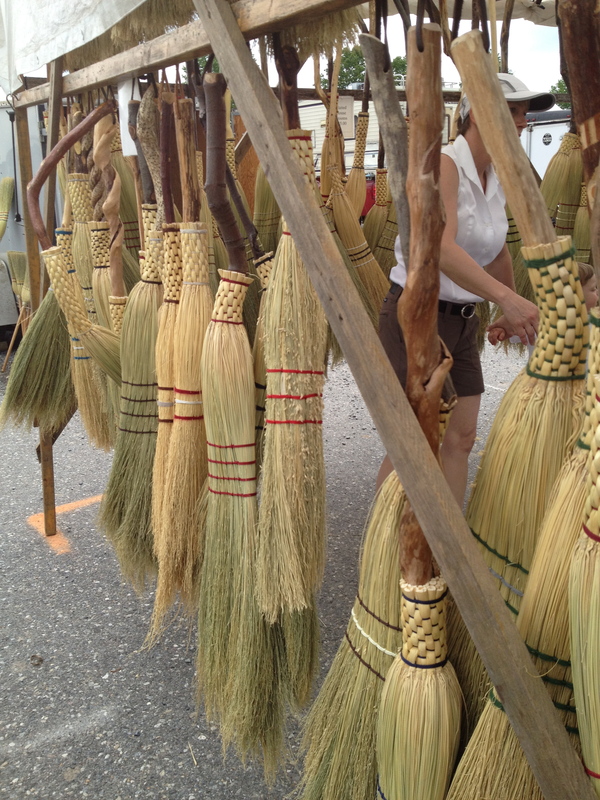 These brooms would be the pride and joy of any self-respecting witch. The Maryland Sheep & Wool Festival is free to get in the door and includes stories and crafts, food, and just a fun time for the whole family. There is a sense of history and heritage and of traditions that have been passed down through the generations. I highly recommend you save the first weekend in May to learn to spin, knit, crochet, or just watch and seek some inspiration.